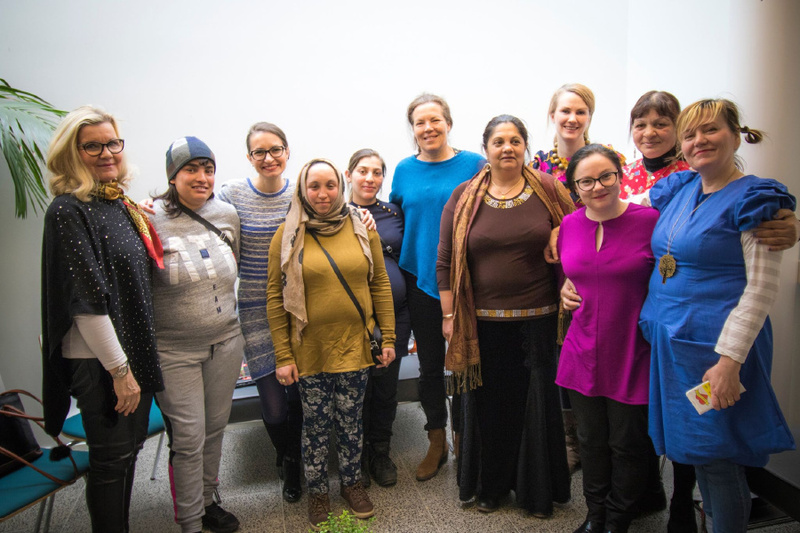 Project GEMMA against Violence had a follow up meeting on 8.3.2018 to discuss the continuity of the cooperation established during the project among few Finnish women’s organizations, Helsinki Deaconess Institute and the Roma migrant women community. The project developed and has been supporting the implementation of an an intervention model in the field of prevention, contrast and treatment of gender-based violence within a particularly vulnerable group: migrant and ethnic background women (and girls). In Helsinki the project targeted Roma EU migrants and undocumented women since they face particular challenges in accessing social and health services. The intervention model, based on a preliminary research on context specificities and on existing European good practices, from a transcultural point of view, is a multidisciplinary and multiagency strategy based on three key pillars: 1. Psycho-social, legal and physical support to survivors of violence; 2. Networking among services and strengthening of a culturally sensitive and integrated approach (across physical, psycho-social, and legal fields) 3. Empowerment and awareness-raising within migrant communities, to enhance internal self-help and the activation of care safety nets and access to services. The project was implemented between 4.1.2016-31.12.2017. These publications have been produced with the financial support of the Rights, Equality and Citizenship Programme (2014-2020) of the European Union. The contents of publications are the sole responsibility of HDI and can in no way be taken to reflect the views of the European Commission. The Project Project GEMMA against Violence: Gender based Empowerment of Migrants through a Multiagency Approach is supported by the Rights, Equality and Citizenship (REC) Programme of the European Union.